About Race to Remember – Armed Forces Day: Race to Remember is leading out the Hazel Dell Parade on Armed Forces Day to honor the men and women that are currently serving in the Armed Forces. The Hazel Dell Parade has become a community tradition and we are honored to be leading the parade in honor of our military heroes. 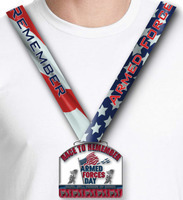 ABOUT RACE TO REMEMBER:“Race to Remember” is a nonprofit organization “Race to Remember” is the name of our nonprofit, formed in Vancouver Washington 2009 after our founder Claudia Cardenas lost her fiancé Jason Vinyard a 20yr Army Veteran serving at Ft. Vancouver at the time of his passing. 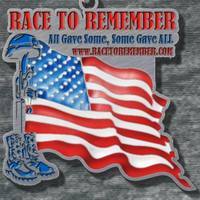 “Race to Remember” mission is to support and honor our past and present military heroes. We host several events throughout the year including three races. During every event we host or participate in we remember and honor those who fought for our freedom. Outside of racing we organize military care packages; and engage with the community by coordinating such projects as “Soldier in the Classroom”, “Thank You Cards” and “Books for Soldiers”. Our immediate goal is to form partnerships with local business and other veteran organizations to help us best serve veterans in our communities. Our long term goal is to establish a college scholarship for the Fallen Heroes children and spouses. ABOUT The Parade: “The Hazel Dell Parade of Bands” always takes place on the 3rd Saturday of May which is Armed Forces Day. The Hazel Dell Parade started in 1964 and is presented by the Hazel Dell Salmon Creek Business Association. In 2017 the lineup featured more than 120 local business & organizations, including 28 middle and high school bands. Race to Remember | www.racetoremember.com : Honor and Support our Military Heroes and their families. Day of Details and Instructions. The Hazel Dell Parade organizers have asked us to have our participants park at the 99th St. Transit Center Hazel Dell. 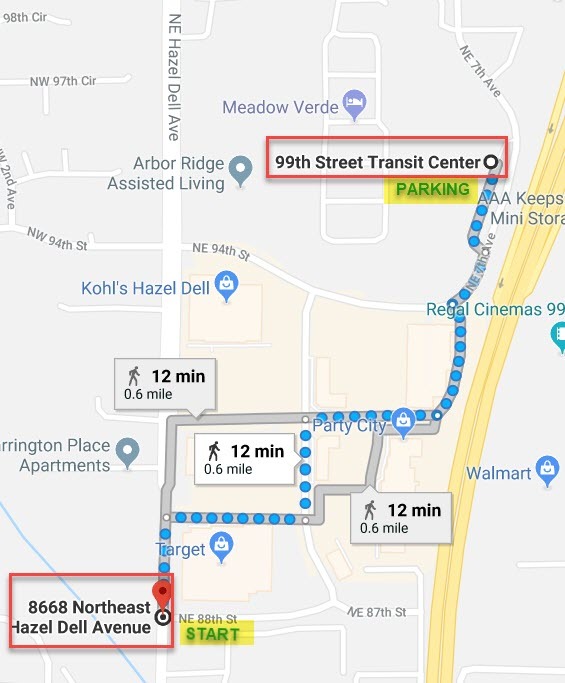 From there to the start line is about a .6mile walk which is on 8605 NE Hazel Dell Ave, Vancouver WA 98665 (behind Target on the street). *You are welcome to park closer to the finish line, just know that there will be street closures. For more details on Parade and streed road closures please visit https://hazeldellparade.com/faqs/ under "route". 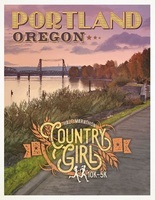 (8605 NE Hazel Dell Ave, Vancouver WA 98665 –Behind Target on the street). – 9:45 am – Opening Ceremonies. For up day of details follow us on facebook at www.facebook.com/racetoremember If you have any questions please email us at racetoremember@yahoo.com or call/text Claudia 5038067145.Day of race communication might be more spotty since we will be focused on setup and day of registrations. A year round non profit honoring and supporting Our Military Heroes.